The moment when someone signs up as a customer, your relationship with that person shifts. If you come from a traditional marketing and sales environment with a linear funnel, you might ring a gong to mark the deal and hand the customer off to another part of the business. But if your business depends on long-term customer relationships, recognize the fragile beauty of this moment. Here’s your chance to set the groundwork for the relationship going forward. During hours and days after the initial sale, switch your focus to value nurturing — investing in the value experienced by the subscriber or customer. From this moment forward, the task of marketing shifts to making the customer happy and successful. And first impressions count. Today’s post looks at two examples I’ve encountered recently of companies turning ordinary transactional emails or communications into something special. 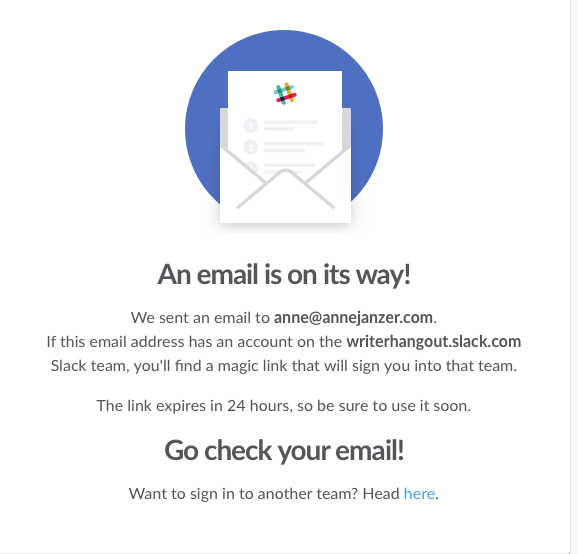 “Check your email for a confirmation link…” We’ve all seen that message many times. The email confirmation link is a standard part of the onboarding process for many services, and for good reason. Sending a confirmation link to an email address validates that the person signing up for the service is associated with the account that they’re claiming. But the confirmation step can be a barrier between the new subscriber and the service. If the recipient delays opening the mail, the link may expire. The necessary security measure can become an annoying hurdle from the customer’s perspective. I made my first foray into Slack recently, signing up for the WriterHangout group. 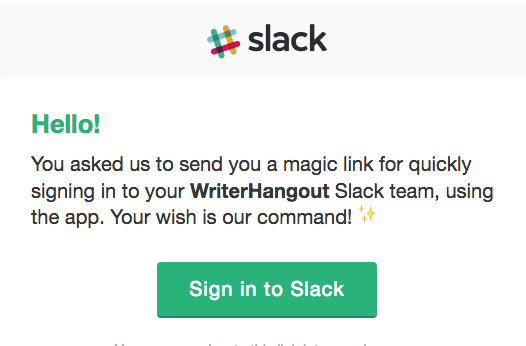 Instead of the usual, bland instruction to check my email, Slack told me to watch for a “Magic Link” in my email. The Magic Link concept made me curious. The email itself arrived immediately, so I clicked through. Behind the scenes, this appears to be another confirmation email. But the presentation and style of the message sets the expectation of a different kind of enterprise software company. By approaching the ordinary in a creative way, Slack encourages its customers to get over that initial hurdle, while setting up an ongoing relationship. 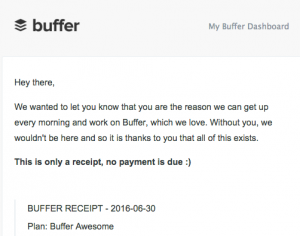 Buffer is a social media sharing and scheduling application. After using the free service, I was enticed by the scheduling and analytic capabilities in the paid plan. So I signed up for the “Awesome” plan. Two emails arrived right away. The first, signed by co-founder and CEO Joel Gascoigne, welcomed me to the Awesome plan. Written with a personal tone and style, it set the groundwork for an ongoing relationship. He also reminded me that I could cancel at any time — a gesture that builds trust. Buffer is not trying to trap me into a subscription. The second email was a receipt for my payment — an essential and usually boring transactional email. Like the first, this one felt personal. Both emails welcomed replies. So I took them up on the offer. When I replied to the receipt email, the team responded quickly, reinforcing my trust that the company is listening to its customers. 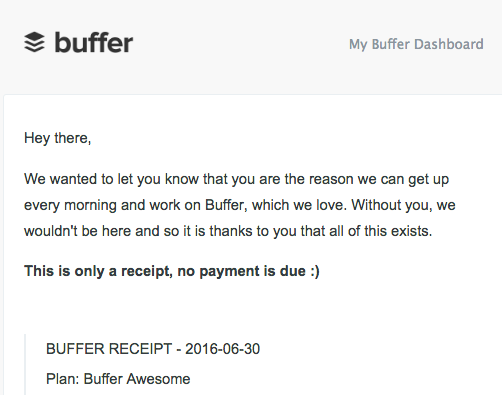 Buffer clearly embodies the practice of value nurturing. It’s taken two mundane, transactional emails, and used them to build the relationship. What happens the moment a customer signs up with your product or service? Are you taking the opportunity to start building a relationship? Examine every ordinary transactional email you send to new subscribers or customers. 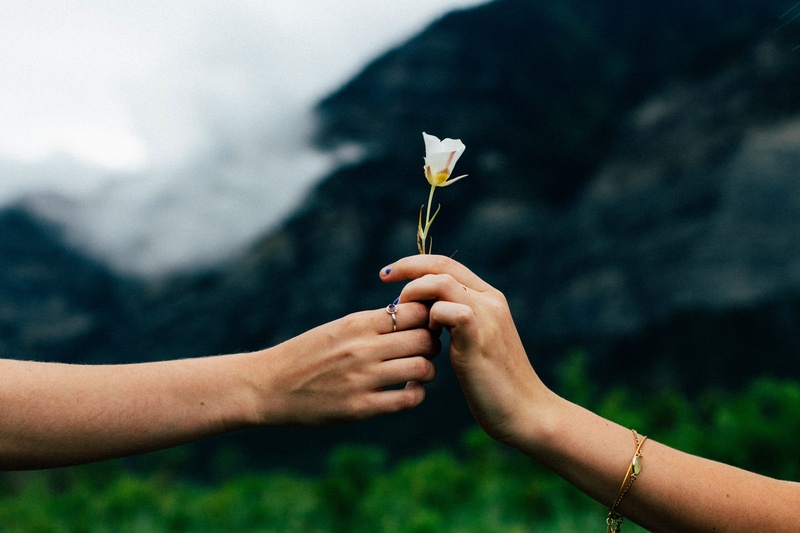 See if there’s anything you can add to build trust, accelerate customer success, or otherwise begin a beautiful relationship. Read the related post on value nurturing: When Marketing Adds Value: The Case for Content. Download the free chapter on value nurturing from the Subscription Marketing book. Get the Subscription Marketing book.